A Basic Model based on gender and functional status was developed using logistic regression to predict the odds of 3-, 7-, and 30-day readmission from inpatient rehabilitation facilities to acute care hospitals. Functional status was measured by the FIM® motor score. The Basic Model was compared to six other predictive models—three Basic Plus Models that added a comorbidity measure to the Basic Model and three Gender-Comorbidity Models that included only gender and a comorbidity measure. The three comorbidity measures used were the Elixhauser index, Deyo-Charlson index, and Medicare comorbidity tier system. The c-statistic was the primary measure of model performance. The online version of this article (doi: 10.1007/s11606-015-3350-2) contains supplementary material, which is available to authorized users. A comment to this article is available at http://dx.doi.org/10.1007/s11606-015-3384-5. Overall, there is a lack of literature on the utility of function as a readmission predictor in a large population of medical patients. Moreover, function is a modifiable risk factor with potential to impact readmission outcomes if function-based interventions are instituted early. Therefore, the objective of this study was to compare functional status with medical comorbidities as predictors of acute care readmissions in the medically complex rehabilitation population. We hypothesized that acute care readmission prediction models based on functional status would outperform models based on comorbidities, and that the addition of comorbidity variables to function-based models would not significantly enhance predictive performance. This was a retrospective database study using data from the UDSMR. The UDSMR is a database of demographic, medical, functional, and facility characteristics of IRF patients, and includes data collected from the Inpatient Rehabilitation Facility Patient Assessment Instrument (IRF-PAI) from approximately 70 % of IRFs in the U.S. The study population includes adult patients admitted to an IRF for at least one night between 2002 and 2011 under the medically complex impairment code (17.1-17.9). Impairment codes are assigned to each patient upon IRF admission and reflect the primary reason for admission to the IRF. The medically complex impairment code comprises a heterogeneous group of conditions in patients with complex and often multiple diagnoses, including certain infections, neoplasms, nutritional or fluid derangements, circulatory disorders, ventilator- and non-ventilator-dependent respiratory disorders, skin disorders, and medical or surgical complications.22 Patients were excluded from analysis if they were in terminal care or died while in rehabilitation (they would not have been eligible for readmission to acute care), or if they were not admitted to an IRF directly from acute care. Patients from IRFs where more than 5 % of patients had zero-onset days (defined as zero days between acute care hospital admission and transfer to an IRF) were also excluded from the study, as previous studies have identified these as atypical IRF patients.23 The unit of analysis for this study was an individual IRF admission. Predictor variables included patient age, gender, medical comorbidities, and functional status. The UDSMR captures up to ten medical comorbidities as coded by the International Classification of Diseases, Ninth Edition, Clinical Modification (ICD-9-CM). Comorbidities were subsequently assessed using three different comorbidity classification systems: the Elixhauser comorbidity index,26 , 27 Deyo-Charlson comorbidity index,28 , 29 and the Medicare comorbidity tier system30 , 31 (Table 1). The Charlson comorbidity index was one of the first methods devised for grouping medical comorbidities.29 It was developed for use with comorbidity data abstracted from patient charts and subsequently adapted for use with ICD-9-CM codes.28 The Deyo-Charlson index places ICD-9 codes into one of 17 comorbidity categories and assigns weights to each category. It was developed to identify comorbid illnesses that increase the risk of acute hospital mortality. This index is best suited to detect the most severely ill patients. The Elixhauser index is an alternative scheme developed for use with ICD-9 data to address some of the perceived limitations of the Charlson index.26 Following a number of modifications, it now incorporates 29 disease categories to assess the impact of each disease category on outcomes. The CMS Comorbidity Tiers rely on a four-tiered system for grading medical complexity as part of the prospective payment system developed by RAND for the Medicare prospective payment system of IRFs.30 , 31 The most complex tier receives the highest payment for a given diagnosis and age. Comorbidity data is obtained for up to 10 ICD-9-CM codes. Several logistic regression models were created at each readmission time point (3, 7, and 30 days)—a basic model based on functional status (Basic Model), an alternative model based on comorbidities (Gender-Comorbidity Model), and a composite model that included both (Basic Plus Model). To develop the Basic Model, an exploratory model was first created with the variables age, gender, admission FIM motor score, and admission FIM cognitive score as predictors of 3-, 7-, and 30-day readmission. Linearity checks were made for age and admission FIM motor and cognitive scores. The FIM cognitive score was not statistically significant and therefore was excluded from our final models. A decision was also made to drop age from our models because it did not change model c-statistics, and when used with predictiveness curves, it did not change predicted probabilities and was not better calibrated than models without the age variable. Gender and the quadratic form of the admission FIM motor score were used in the final model. The final regression models included a Basic Model with the variables gender and admission FIM motor scores, three Gender-Comorbidity Models with the variables gender and each of the three comorbidity classification systems, and three Basic Plus Models with all variables (gender, admission FIM motor score, and the three comorbidity classification systems). Each of these models was assessed at each readmission time point. In summary, for each readmission time point, there was one Basic Model, three Gender-Comorbidity Models, and three Basic Plus Models, yielding 21 different models (Table 3). Bootstrapping was used for internal validation of the models.33 Given the large dataset and small number of study variables, there was little concern of model overfitting, which was also confirmed using bootstrapping and shrinkage coefficient estimates. To test the study hypothesis, Basic Models were compared to Gender-Comorbidity Models to determine whether function-based models outperformed comorbidity-based readmission models. Also, Basic Models were compared to Basic Plus Models to determine whether any clinically meaningful improvement in predictive value was achieved by adding comorbidity data to a function-based model. Model comparisons were performed at each readmission time point primarily by calculating the c-statistic, or area under the receiver operating characteristic (ROC) curve. The c-statistic is a common measure to compare the goodness of fit of logistic regression models. Due to the large sample size, p values were not used for between-model comparisons, as even negligible differences are likely to be statistically significant.34 Instead, as adjunctive measures of model performance, the Akaike information criterion (AIC), Bayesian information criterion (BIC), pseudo R2, and shrinkage coefficients were also calculated. Smaller AIC and BIC values and larger pseudo R2 and shrinkage coefficients indicate better model performance.35 Adjustments for multiple comparisons were not made because p value based tests were not used. Interactions between functional status and comorbidity measures at each readmission time point were examined. In this analysis, standard errors were also adjusted to control for clustering effects.36 However, in the UDSMR dataset, there were at least two dozen IRFs with only one medically complex patient, thus making it difficult to reliably account for random effects.37 To account for repeat admissions to an IRF, a sensitivity analysis was performed examining model c-statistics for the entire study population and comparing them to c-statistics for patients that only presented for an initial rehabilitation admission. All data analyses were performed using Stata software version 12.1. The UDSMR database included a total of 134,730 adult patients admitted under the medically complex impairment code to an IRF for at least one night between 2002 and 2011. We excluded 13,773 patients from analysis for the following reasons: terminal care (n = 231); died in rehabilitation (n = 575); were not admitted to an IRF directly from acute care ( = 6147); patients from IRFs where more than 5 % of patients had zero onset days (n = 6820). Our final sample size was 120,957 patients from 1041 IRFs. Patient demographics and IRF characteristics are shown in Table 4. In general, the study population was older (mean age 71 years), predominantly white (84 %) and female (54 %), unmarried (54 %), and unemployed (91 %). Medicare patients accounted for 78 % of the study sample. On average, patients had eight ICD-9 comorbidities, acute care stays of 17.4 days prior to transfer to an IRF, IRF lengths of stay of 13.2 days, admission FIM motor score of 40.6 (maximum possible score of 91.0), and discharge FIM motor score of 61.0. Only 6440 (5.32 %) patients had more than one admission to the IRF. A total of 19,857 (16.42 %) patients were readmitted to the acute care hospital, of whom 4252 (3.52 %) were readmitted within 3 days, 9560 (7.90 %) within 7 days, and 19,372 (16.02 %) within 30 days of IRF admission. Examination of readmission rates over time demonstrated essentially no change in the rates over the study period. Table 5 shows the odds ratios (ORs) for transfer to an acute care hospital from an IRF at each of the discharge time points based on gender and admission FIM motor score (Basic Model). Female gender and higher FIM motor scores were associated with significantly lower odds of readmission at 3 days (ORgender 0.84 [95 % CI 0.79, 0.90]; ORFIM 0.94 [95 % CI 0.94, 0.95]), 7 days (ORgender 0.83 [95 % CI 0.79, 0.88]; ORFIM 0.96 [95 % CI 0.96, 0.96]), and 30 days (ORgender 0.84 [95 % CI 0.81, 0.87]; ORFIM 0.96 [95 % CI 0.96, 0.96]). C-statistics for each model and time point are shown in Table 6. Basic Model c-statistics at 3, 7, and 30 days were 0.69, 0.64, and 0.65, respectively. The Basic Plus Models had only marginally better c-statistics. Of the three Basic Plus Models, the best-performing Basic+Elixhauser Model c-statistics were only 0.01, 0.02, and 0.02 greater than the Basic Model c-statistics at the 3-, 7-, and 30-day time points, respectively. In comparison, the Basic Model c-statistics outperformed the Gender-Comorbidity Models at each time point. Of the three Gender-Comorbidity Models, the best-performing Gender+Elixhauser Model c-statistics were 0.12, 0.07, and 0.08 less than the Basic Model c-statistics at 3, 7, and 30 days, respectively. ROC curves for the Basic Model and the best-performing Basic Plus and Gender-Comorbidity Models are provided as supplementary materials (Figs. 1, 2, and 3, available online). As expected, higher c-statistics corresponded with higher pseudo R2 and shrinkage coefficients and with lower AIC and BIC estimates (Supplementary Materials, Table 7, available online). In general, interactions were not statistically significant and did not affect the results as measured by change in c-statistic. A sensitivity analysis examining model c-statistics for the 5.32 % of patients who had multiple IRF admissions also revealed no significant difference compared to the overall model c-statistics of the entire study population. To our knowledge, this is the first large national database study examining the role of functional status as the primary predictor of acute care readmission risk in the subacute medically complex population. Our results demonstrate that acute care readmissions at 3, 7, and 30 days are reasonably well predicted based on gender and functional status alone. Importantly, the addition of medical comorbidities did not contribute any further predictive value. However, predictive models that considered only comorbidities without accounting for functional status had inferior performance compared to function-based models. Our results were similar across all three discharge time points, suggesting that functional status is a fairly consistent predictor of readmission risk. This study is also novel in that it examines not only 30-day hospital readmission, but also early readmissions at 3 and 7 days. Prior national models have traditionally focused on hospital readmissions at 30 days or beyond but have not addressed early readmissions.6 However, early readmissions tend to represent more preventable readmissions, as they are more likely secondary to premature hospital discharge, inadequate handoff communication, or medication discrepancies, compared to late readmissions at 30 days.25 Factors surrounding readmissions to acute care from a subacute facility within 7 days deserve further investigation in future readmissions research. The results of this study suggest that medical comorbidities are insufficient to predict readmission risk for the medically complex IRF population. Recent work by Donzé et al. (2013) suggests that factors such as specific lab values (hemoglobin and sodium level), length of hospital stay, admissions within the last 12 months, and type of admission are helpful predictors of readmission risk in the acute care medical population, presumably because this information addresses the severity of illness or impact of disease on the patient.38 Importantly, Donzé et al. did not include functional status as a variable in their readmissions model. Functional status might also act as a non-disease-specific surrogate marker of illness severity. For instance, prior studies suggest that functional status as measured by the FIM might be considered an indirect measure of a patient’s burden of care upon a caregiver.39 – 43 Alternatively, poor functional status may be an additional risk factor for readmissions by predisposing patients to complications related to impaired mobility such as infections,44 venous thromboembolic events,45 and falls.46 This is consistent with the finding that FIM motor scores were significant predictors of increased readmission risk, but FIM cognitive scores did not significantly improve our readmission models. Although the data presented demonstrates an association between functional status and readmission, further study is needed to determine whether there is a causal relationship between improvements in functional status and reductions in hospital readmissions. Similarly, there are potential clinical applications for utilizing functional status as a means of predicting high-readmission-risk patients. In the acute care setting, development and validation of a simplified functional status measure may prove to be a valuable means of identifying patients at high risk of readmission, such that appropriate preventative steps can be taken prior to discharge. The 6-item AlphaFIM® instrument, an abbreviated version of the FIM, is currently being utilized as a functional status measure in the acute care setting, with promising results.50 , 51 Similarly, the 6-item AcuteFIMTM is an abbreviated version that is being piloted for acute discharge planning.52 The Improving Medicare Post-Acute Care Transformation Act (IMPACT) of 2014 is advocating for a standardized inpatient assessment tool to improve quality comparisons across different post-acute care settings, facilitate post-acute discharge planning, and utilize this information for future reforms in hospital reimbursement.12 Based on our study findings, there is growing evidence supporting the utility of functional status measures as a component of the standardized inpatient assessment. Despite the increasing body of evidence showing that functional status occupies an important role in health outcomes53 – 59 and that it is a better predictor of mortality than disease-specific measures and comorbidities,60 – 62 prior research has often overlooked the role of functional status on hospital readmissions. Of the 26 distinct readmission models examined in a 2011 systematic review, only eight models considered functional status as a predictor variable, and only two studies ultimately included overall health and functional status, activities of daily living dependence, and mobility in their final models.6 In a recent single-center study of medical patients, Hoyer et al. 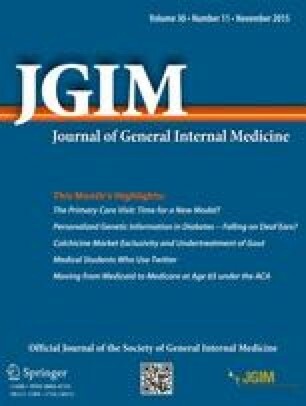 (2014) found that functional status at the time of acute care discharge was a significant predictor of 30-day acute care readmission, where lowest-functioning patients had the highest rates of readmission (OR 29 %, 95 % CI 25–32 %).21 Coupled with our findings that the presence of medical comorbidities does not further improve the prediction of readmission risk, these studies suggest that emphasis on functional status will enhance national readmission models, and interventions aimed at improving function may impact readmission rates. Placed in the national context of reduced reimbursement for hospital readmissions, this study identifies new areas that can be targeted to reduce readmission rates, ultimately translating into healthcare cost savings. Prior CMS models for hospital readmission risk considered only medical comorbidities and basic demographic factors,63 – 65 with a relatively poor ability to predict hospital readmissions (c-statistics 0.60–0.63). The addition of functional measures can improve current CMS readmission risk models to more accurately identify patients at high risk of readmission and more fairly reimburse hospitals based on performance. The limitations of this study should be considered when interpreting the clinical significance of our results. This was a retrospective cohort analysis of previously collected data that was not designed for this study. For instance, the primary reasons for patient readmission to acute care were unavailable in the UDSMR dataset, and therefore were not considered in our analysis. Important prediction variables such as the lab tests included by Donzé et al. (2013)38 and similar surrogates of disease severity or functional status may not be included in our models. Similarly, difficult-to-measure variables such as social support, treatment adherence, quality of post-discharge care, presence of depressive symptoms, and patient cognitive factors outside the scope of the Cognitive FIM are not well captured in the dataset, but may act as confounding factors in our analysis. However, the fact that only key variables were included in our models, and that the choice of variables was hypothesis-driven rather than exploratory, can also be considered a relative strength of this study. Second, the comorbidity data included a maximum of only ten ICD-9-CM codes, and therefore may not have accounted for all patient medical comorbidities. To address this limitation, we included in our models three different comorbidity scoring systems (Elixhauser, Deyo-Charlson, and CMS comorbidity tiers) with established validity in order to minimize bias. Third, unlike well-defined diagnoses such as stroke or burn, the medically complex category comprises a heterogeneous population with widely varying medical diagnoses. Patient functional status in this context is likely to have wider variability, which may tend to dilute any associations. Nonetheless, the heterogeneity of the medical population represents the variety of medical patients treated in the healthcare system, and therefore the results are applicable to a broad patient base. Finally, the data for this study was obtained from an IRF population and thus may not be directly applicable to medical patients in the acute care setting. However, the UDSMR dataset is one of the largest national datasets with available functional data, and functional data was collected at the time of IRF admission, thereby serving as a reasonable surrogate of functional status at the time of acute care discharge.21 Nonetheless, future work is needed to examine and test these findings in the acute care setting. Functional status is a frequently overlooked risk factor for readmissions and is a more valuable predictor of readmission risk than medical comorbidities in the medically complex inpatient rehabilitation population. Our results add to the growing body of evidence that functional status is an important predictor of readmissions. There is opportunity to improve current national readmission risk models to more accurately predict readmissions and more fairly reimburse hospitals based on performance. Future efforts are needed to explore early clinical assessment and treatment of functional impairments to reduce hospital readmissions. This paper was presented as an abstract at the American Academy of Physical Medicine and Rehabilitation 2014 Annual Assembly on November 11, 2014. The contributions of the authors are as follows: design and conceptualization of the study: Paul Gerrard, Jeffrey C. Schneider, Ross Zafonte; analysis and interpretation of the data: Paul Gerrard, Richard Goldstein, Lewis Kazis, Jeffrey C. Schneider, Shirley L. Shih; drafting and revising the manuscript for intellectual content: Shirley L. Shih, Paul Gerrard, Jeffrey C. Schneider, Richard Goldstein, Jacqueline Mix, Colleen M. Ryan, Paulette Niewczyk, Jaye Hefner, D. Clay Ackerly. “Readmission Reductions Program.” Centers for Medicare and Medicaid Services. <http://cms.gov/Medicare/Medicare-Fee-for-Service-Payment/AcuteInpatientPPS/Readmissions-Reduction-Program.html/>. Aug 04, 2014. Last accessed April 1, 2015. “Bipartisan, Bicameral Effort Underway to Advance Medicare Post-Acute Reform.” U.S. House of Representatives. Committee on Ways and Means. 2014 Mar 18. Available at: http://waysandmeans.house.gov/news/documentsingle.aspx?DocumentID=373213. Last accessed April 1, 2015. UB Foundation Activities. The Inpatient Rehabilitation Facility-Patient Assessment Instrument (IRF-PAI) Training Manual. 2004. Available at: http://www.cms.gov/Medicare/Medicare-Fee-for-Service-Payment/InpatientRehabFacPPS/downloads//irfpaimanual040104.pdf. Last accessed April 1, 2015. Comorbidity Software [computer program]. Version 3.5. Available at: http://www.hcup-us.ahrq.gov/toolssoftware/comorbidity/comorbidity.jsp. 2010. Last accessed April 1, 2015.